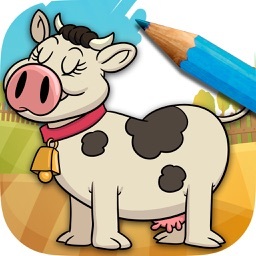 One of the best-selling iOS apps of all time! Join millions of SpinArt fans around the world and find out what all the fun is about! The New York Times says "if you and your child were stuck on a desert island with just one app, you’d want it to be SpinArt!" 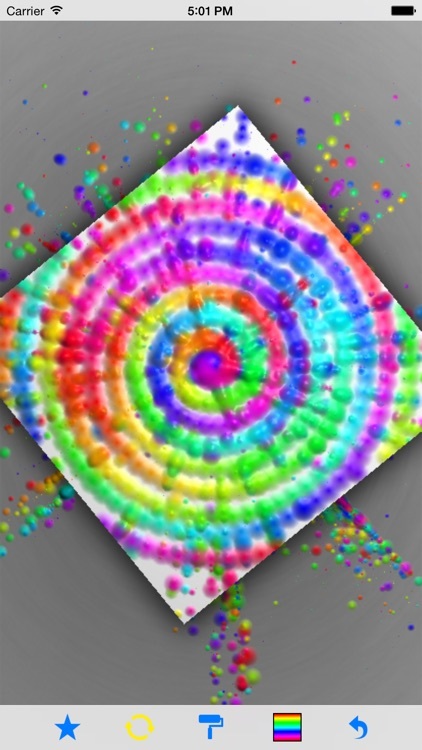 SpinArt is based on one of our favorite childhood crafts! 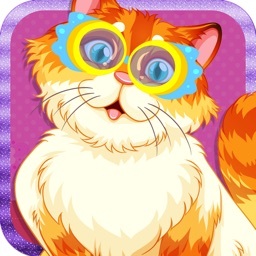 It's fun & creative--you'll spend longer than you think playing with this App! Whether it's waiting in line at the bank, at the dentist, or on a really boring date, you can always take a spin. Enjoy! 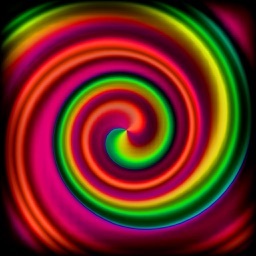 And now SpinArt has been updated for the latest and greatest iOS devices & technologies. 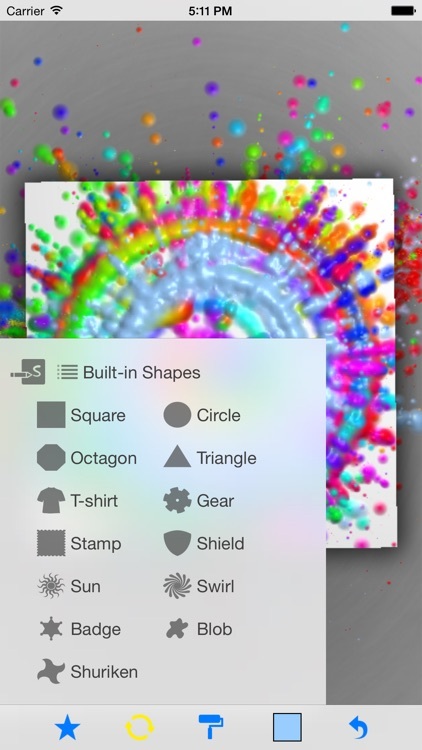 We rewrote the rendering engine, menuing system, and made SpinArt look better than ever! 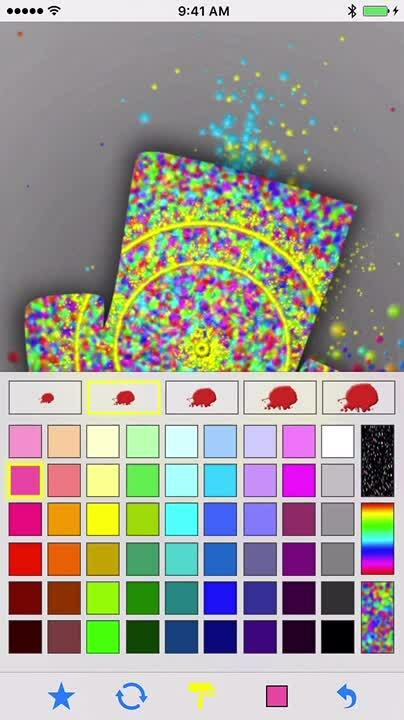 SpinArt 4.0 is the biggest and best SpinArt yet! 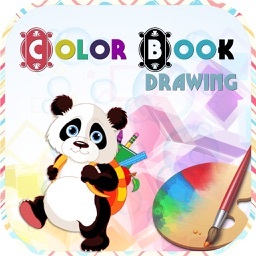 "This is an app that’s not only fun for adults, but for their kids as well." 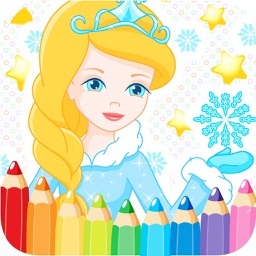 One of "the best iPhone apps for kids". "Unleash your inner kindergartener. 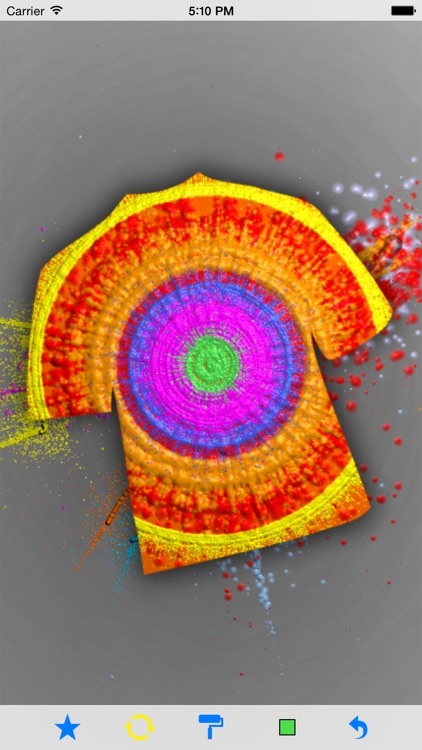 Squeeze on colors, spin the wheel...Just as satisfying as the real thing, and no waiting in line at the school fair with a bunch of 8-year-olds getting cotton candy in your hair." • Incredible paint and glitter rendering! 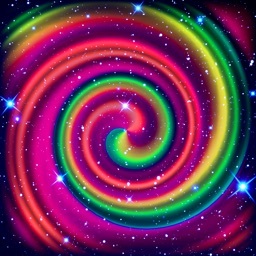 • 54 colors + rainbow + random + glitter! • Optimized for the latest iOS devices. 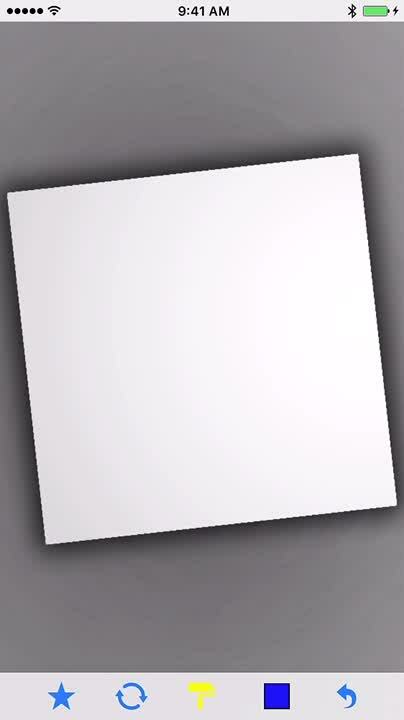 Use 3D Touch on iPhone 6S & iPhone 6S Plus devices to control the paint thickness! • Save your creation to your Photo Library or share it via Facebook, Twitter, or email! When in Spin Mode (the button with the round arrows), swipe your fingers across the canvas to spin at varying speeds. 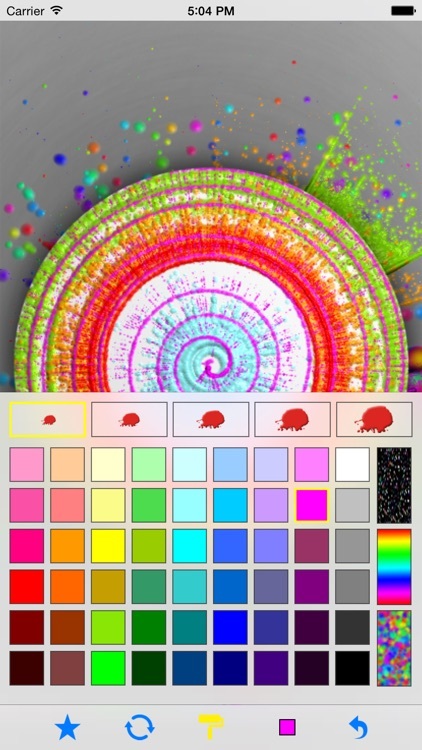 Then switch back into Paint Mode (the paint roller button), and choose from five brush sizes and a color from the palette, then use your finger to splat some paint and watch some amazing patterns emerge! 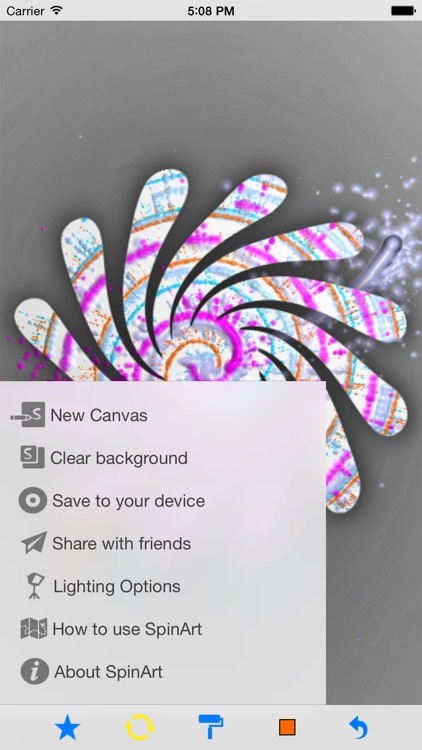 When you're done, go back into Spin Mode, double tap on the spinning canvas to stop it and admire your final artwork! It's great for kids too--let them get messy with paint without making a mess! 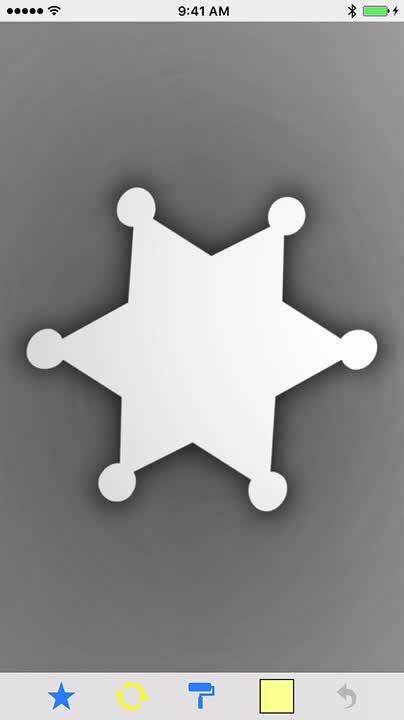 After you save their masterpiece, sync up to your computer, print it out, and hang it on the fridge for all to see. 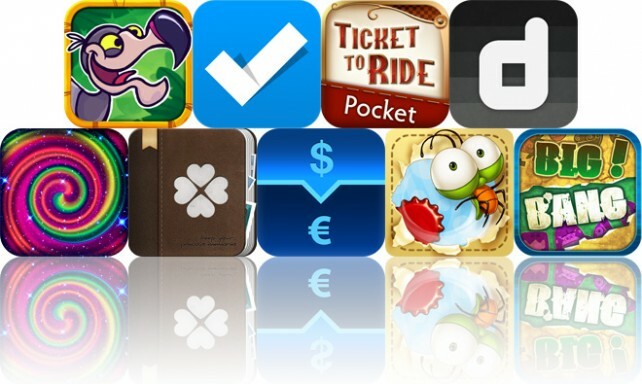 Today’s AGF list includes a racing game, an art creation app, and a finance app. Today's AGF list includes an arcade game, a task manager, and a board game.